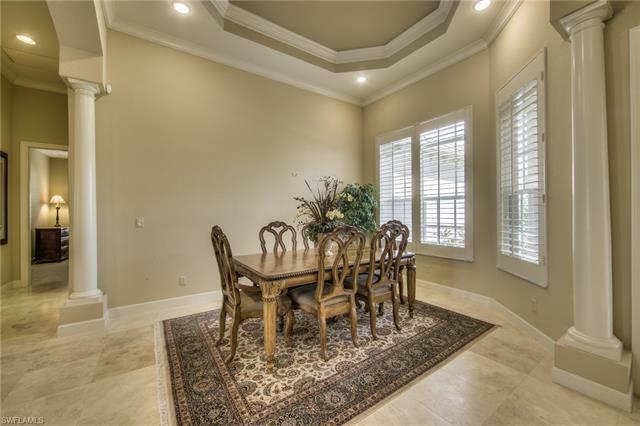 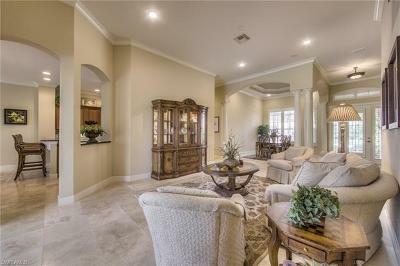 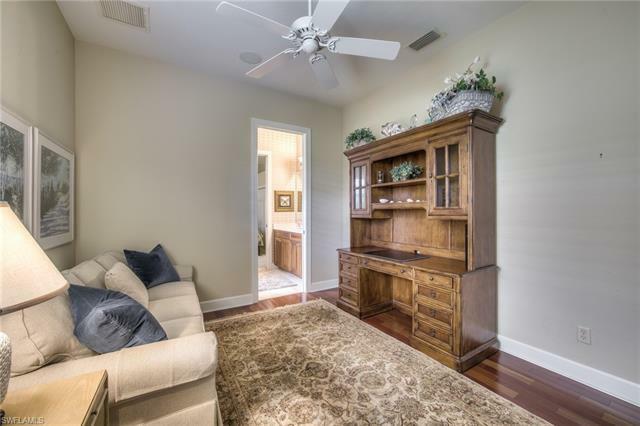 This home offers an incredible living space with family room, living room, 4 bedrooms and a spacious master bedroom with separate sitting area. 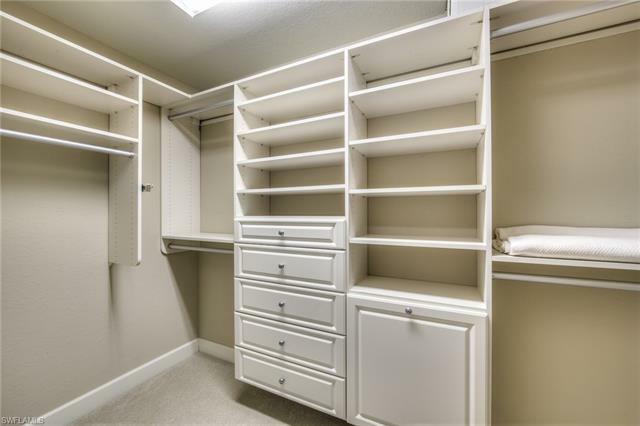 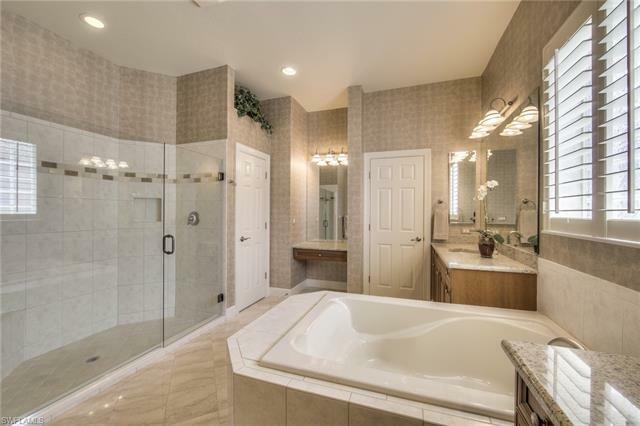 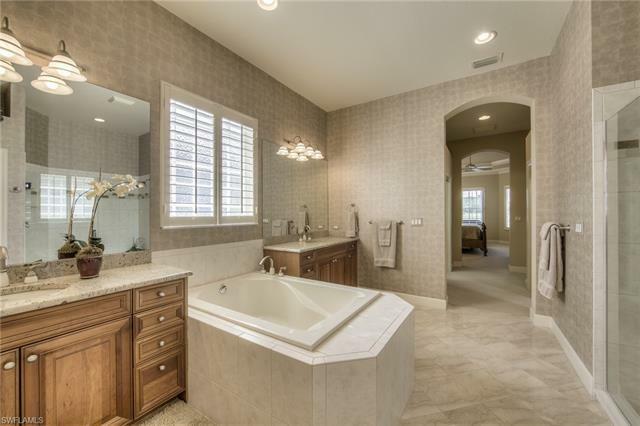 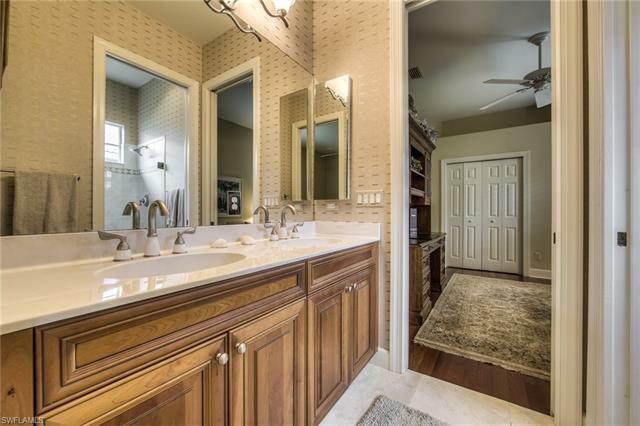 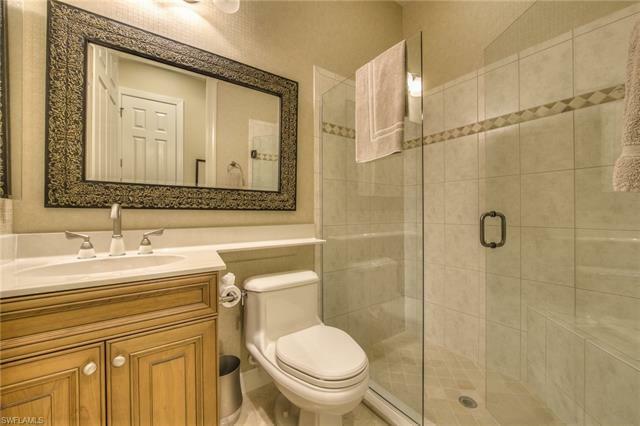 Master bathroom has two separate vanities and a makeup vanity. 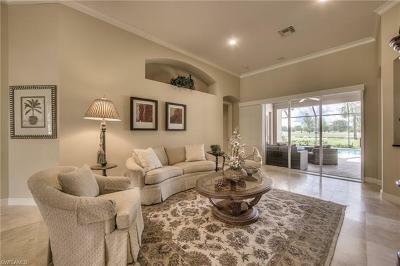 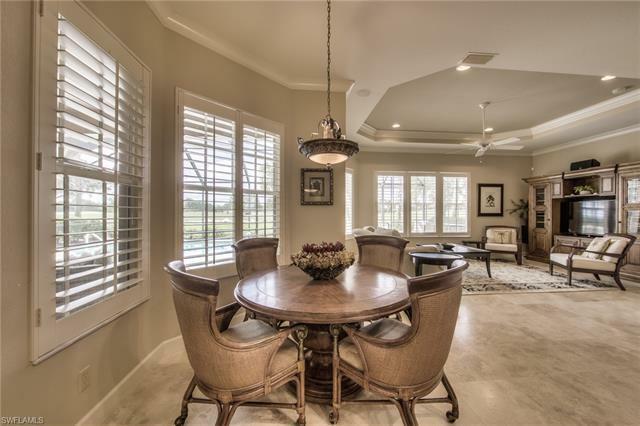 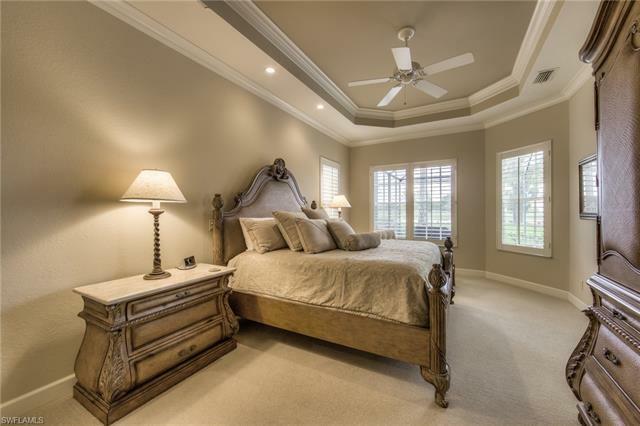 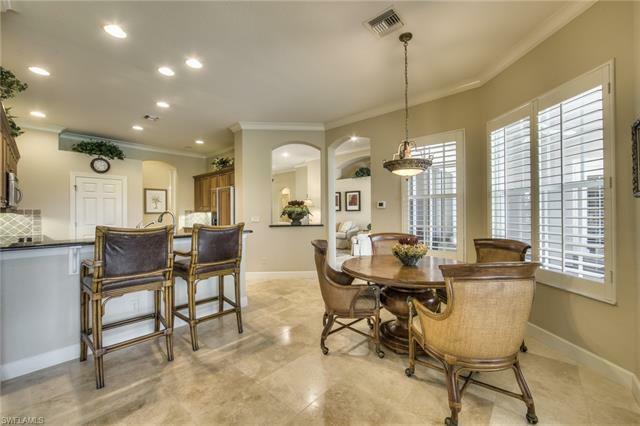 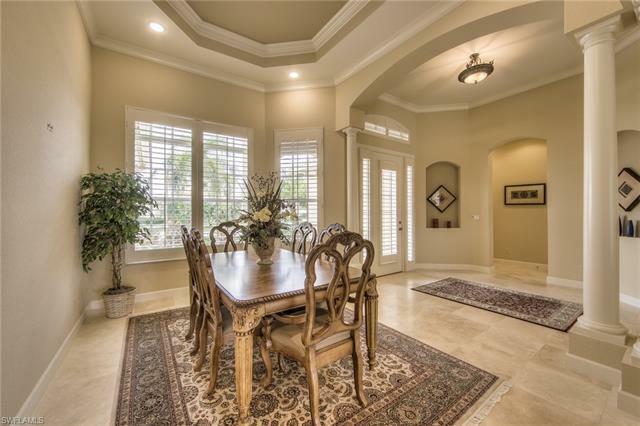 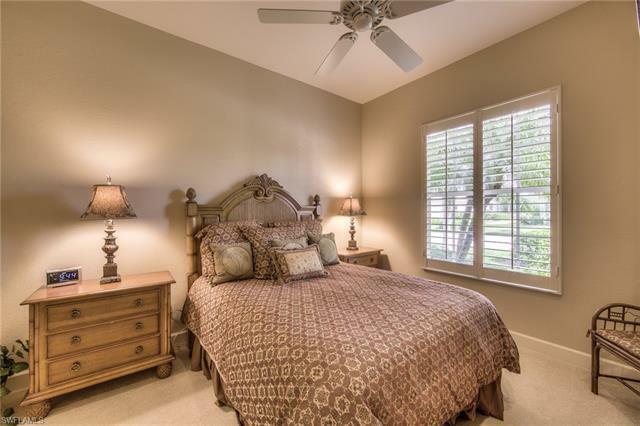 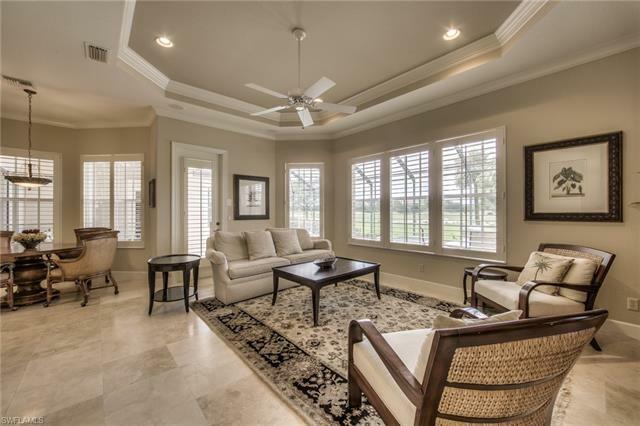 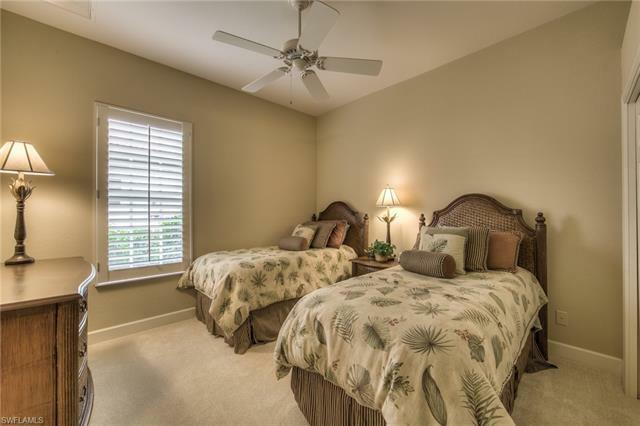 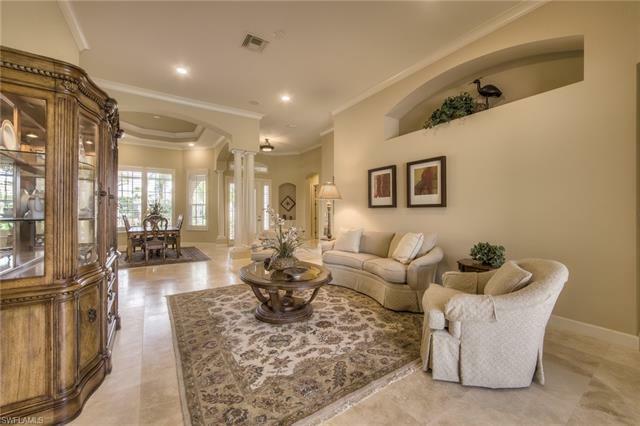 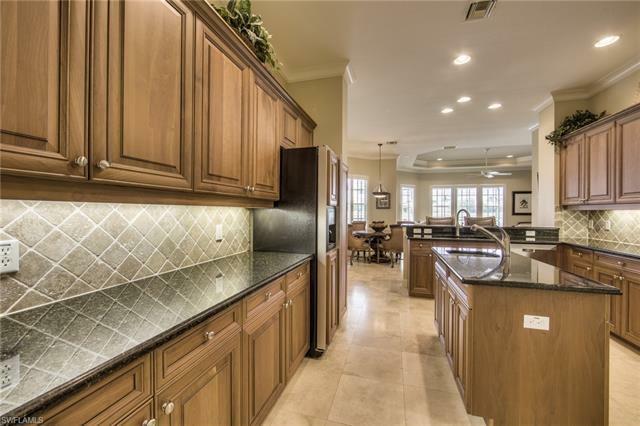 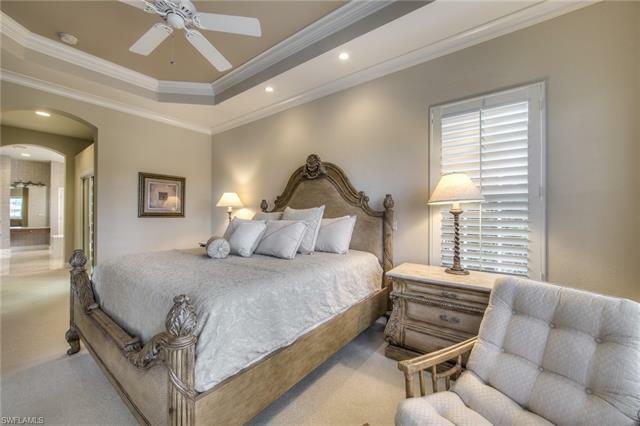 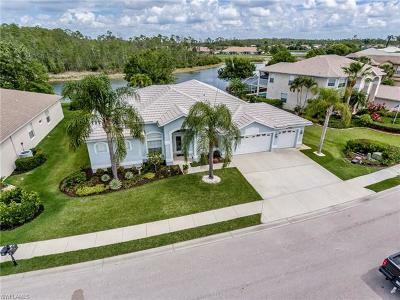 Offered fully furnished with spectacular features including marble floors, plantation shutters, tray ceilings, crown molding, California closets, expanded lanai with pool, spa and vast view over the 17th fairway and lake. 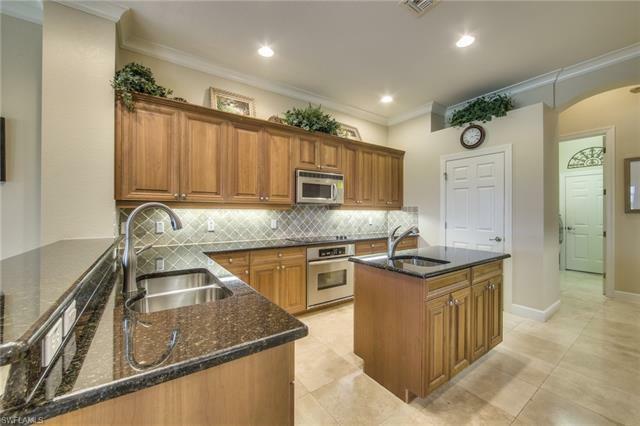 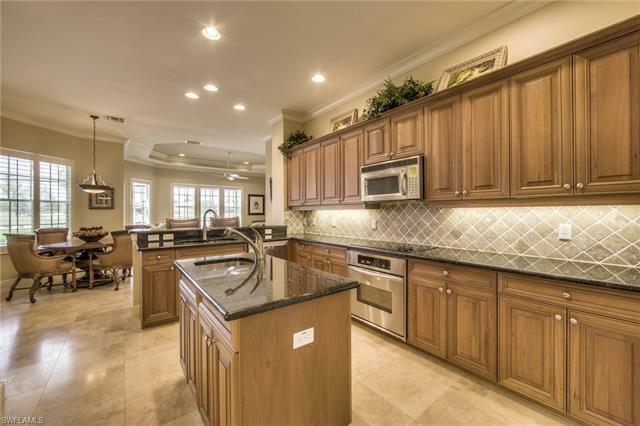 You will love the spacious kitchen with tons of cabinets and counter space, center island with sink and stainless steel appliances. The garage is extra deep offering plenty of space for a garage fridge and extra cabinets. 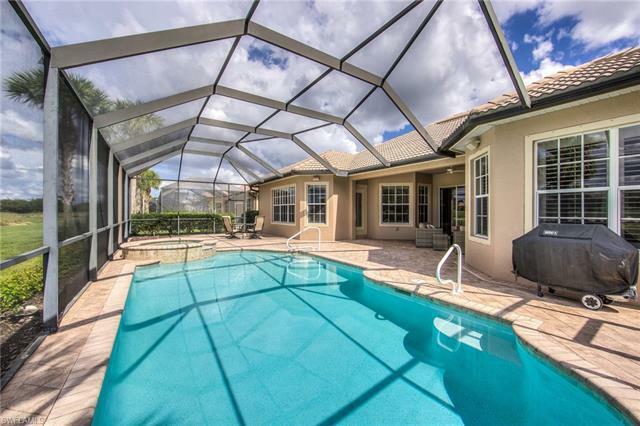 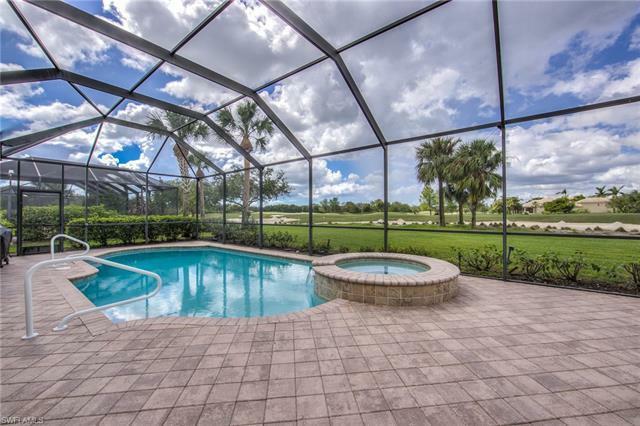 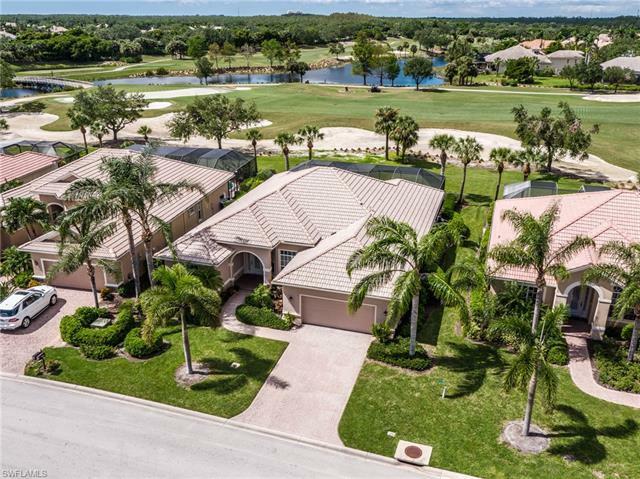 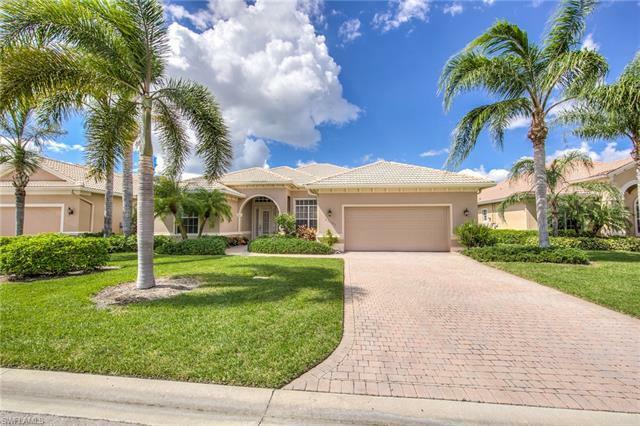 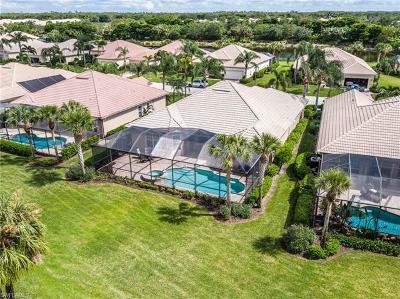 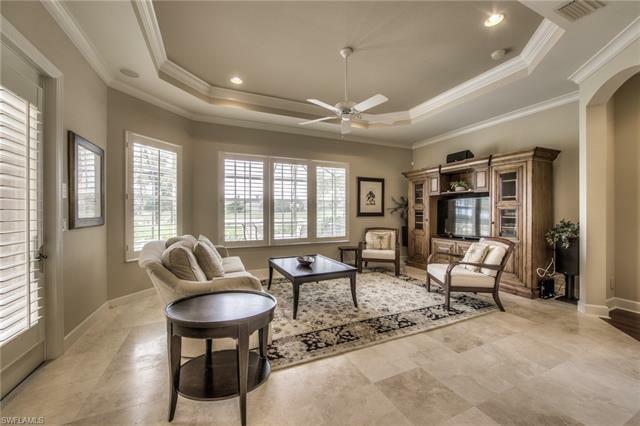 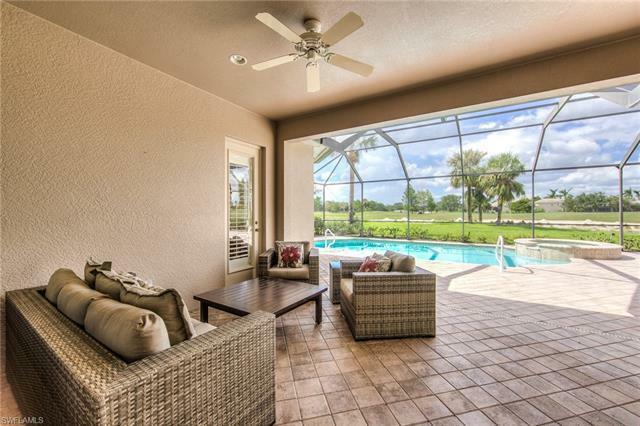 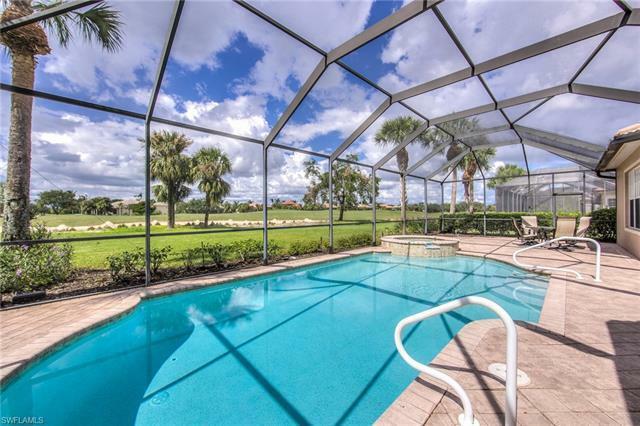 Shadow Wood CC has 3 championship golf courses, 9 Har Tru tennis courts, 2 club houses, bocce, pickle ball, access to private beach club, fitness center, full service spa and much, much more!